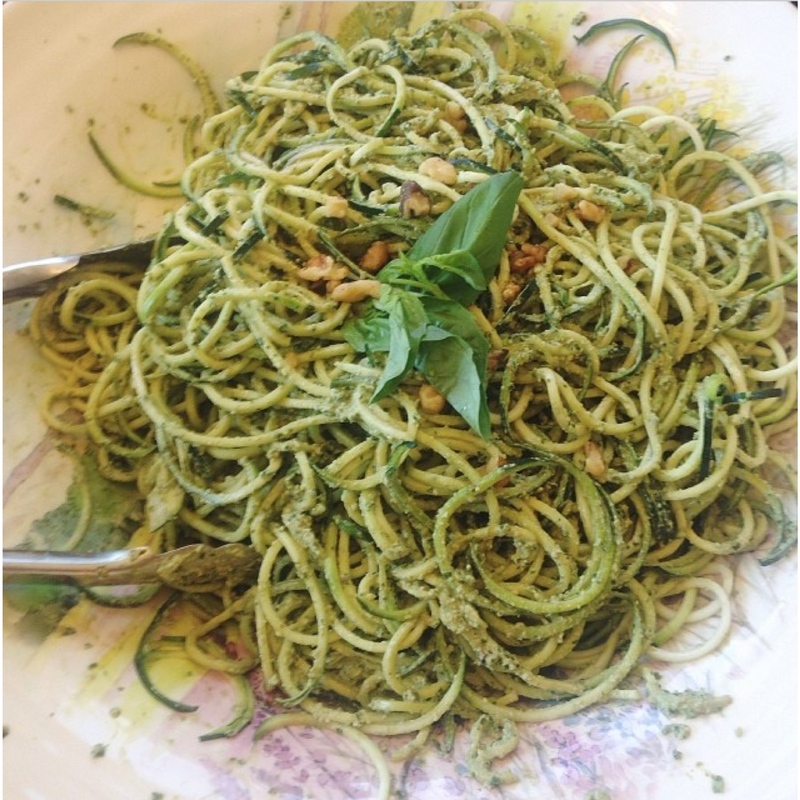 ‘Zoodles’, ‘Zucchini noodles’, or Courgetti Spaghetti for you Europeans, are an amazing thing! We eat them all the time and they are a great low carb, paleo, grain and gluten free alternative to regular pasta noodles. 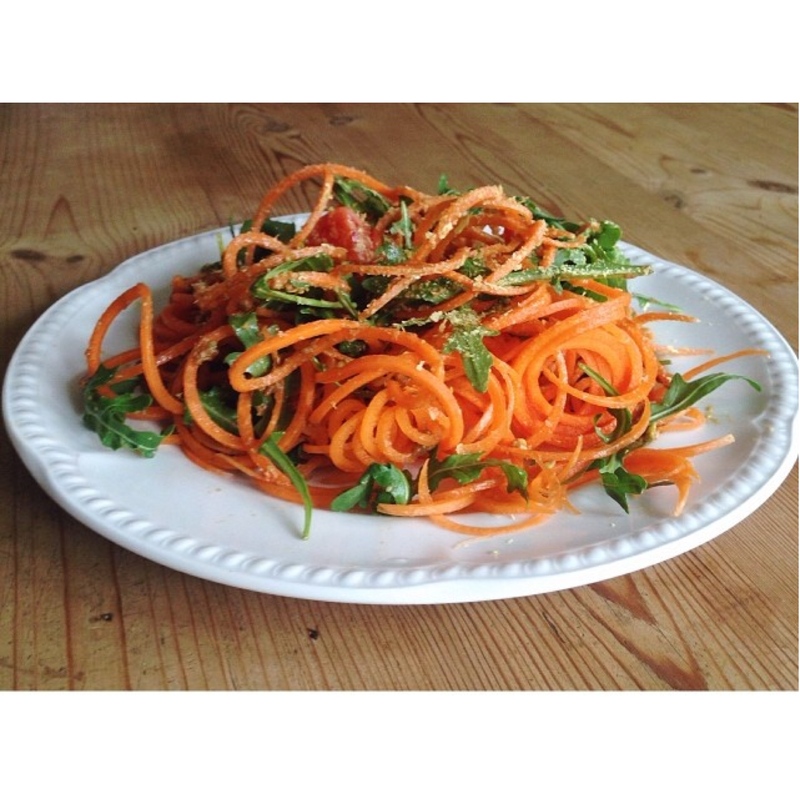 You can make them really easily using this spiralizer. 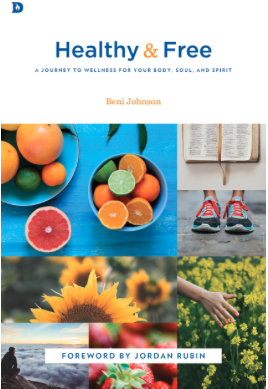 I ordered mine on the spot when I watched Danielle Walker use one in a cooking demo and I love it! You can get them at high end kitchen stores but some of the best prices are here on Amazon. It has three settings so you make two sizes of noodles and ribbons. I like them raw but my husband prefers them sautéed a little, they’re great both ways. 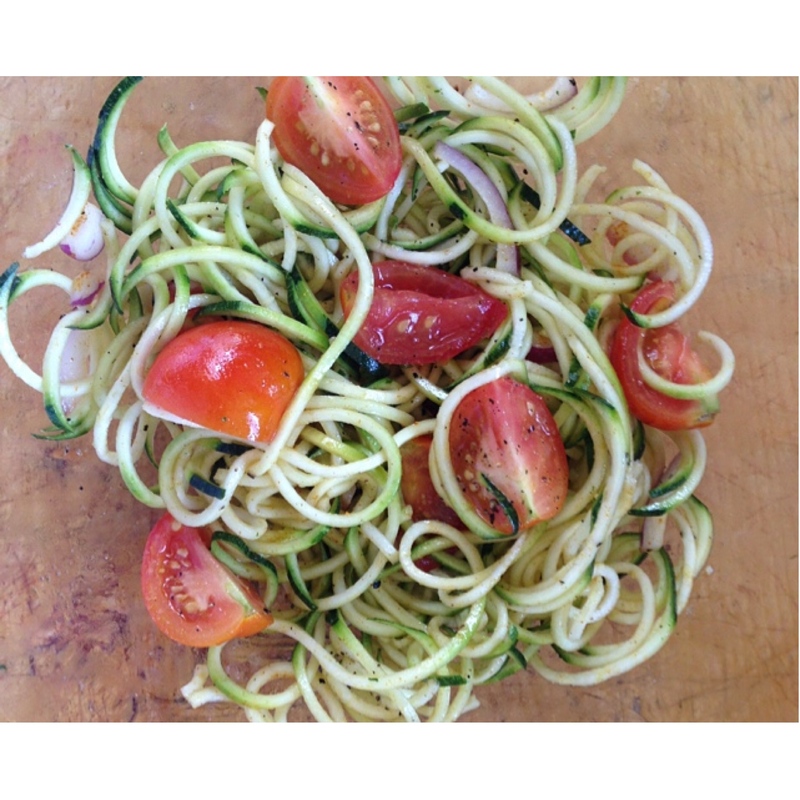 Here are some fun ways to use the spiralizer and some recipe ideas! It can be used for much for than just zucchini, you can use it to make sweet potato noodles, carrot noodles to add to a salad, cucumber ribbons, or even mini fries.